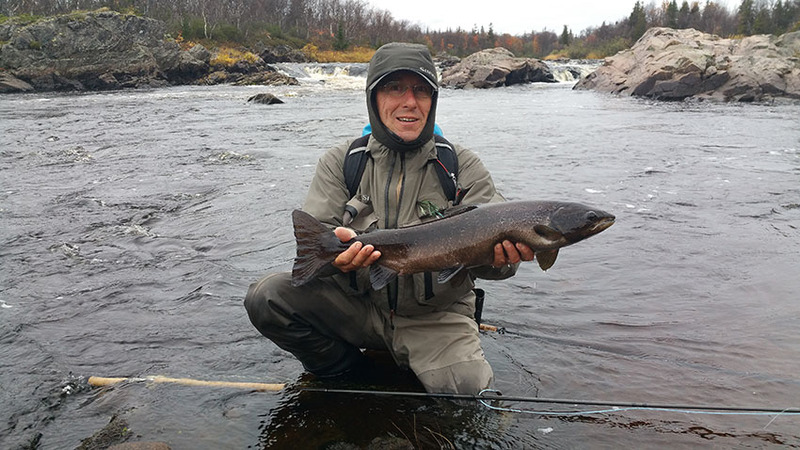 Chavanga Fish Blog: Autumn salmon fishing, Water temperature and water level. 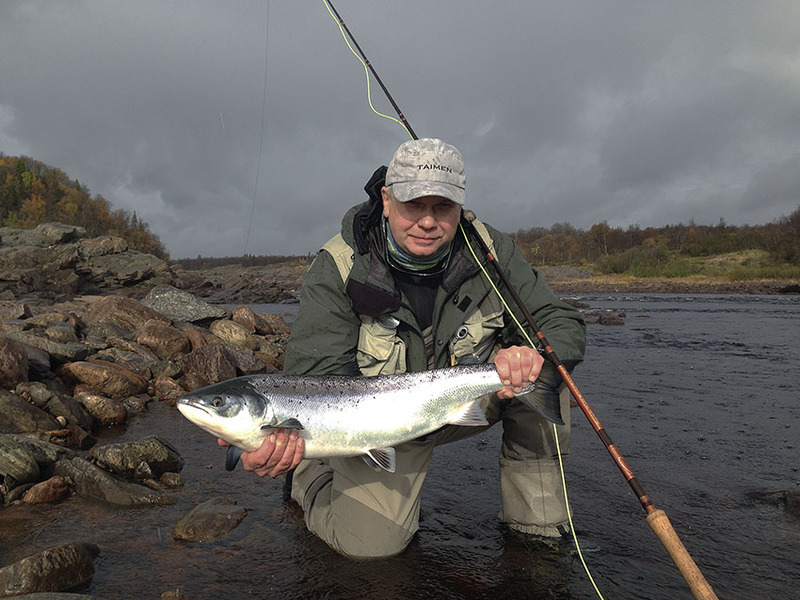 Autumn salmon fishing, Water temperature and water level. 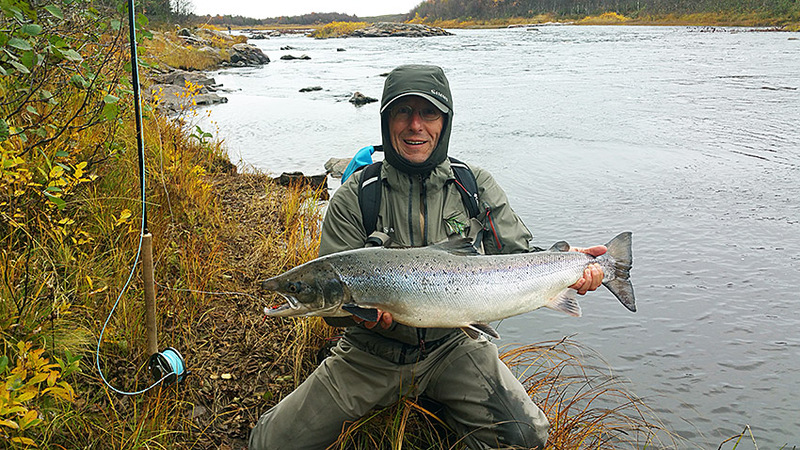 The most interesting thing in the autumn season of salmon fishing - the appearance of fresh salmon in the rivers. It involves primarily the fish of excellent condition. Autumn fish differs from the spring with their weight and strength. Therefore, autumn fishing is extremely interesting. Conventionally, the autumn season can be called the period from late August to mid-October. 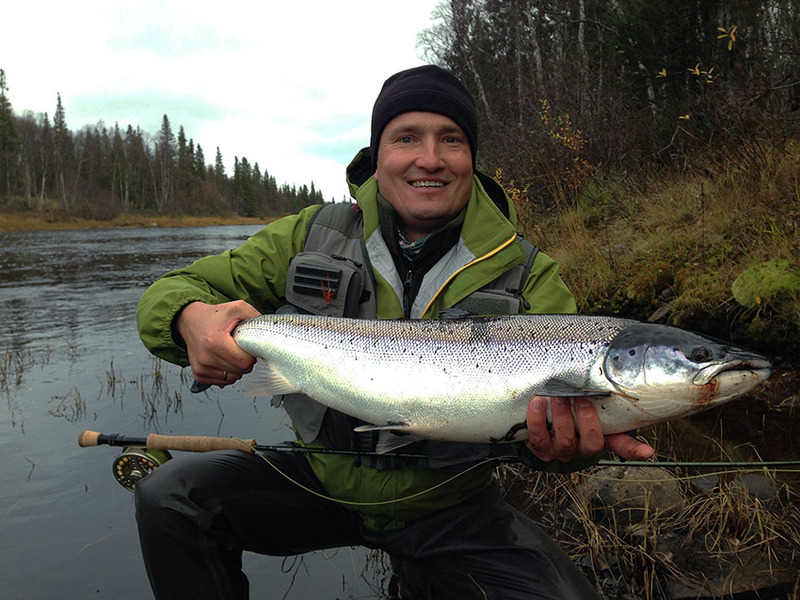 October 15 licensed salmon fishing on the rivers of the White Sea ends. This time interval consists of 3 periods ( 3 groups of salmon), which, depending on the weather or other factors moves away in time. The first period is determined by the activity prespawning salmon, which rose into the river, since the autumn of last year. These fish are prepared for spawning, different dark color and show increased activity until the beginning of spawning. With the decline in water temperature to 8-7 degrees and the start of spawning fish, this group disappeared from the catches. The composition of this group is very heterogeneous, along with small specimens caught especially large salmon, which does not manifest itself in the rivers throughout the season. Since the beginning of spawning, these fish leave their hiding and face the broad shallow reaches, easy to spawn, but not interesting for fishing. The second period is determined by the activity of the fish that enter in the river in late August or early September. This is also a heterogeneous group of salmon, and among them there are very large specimens weighing about 8-9 kg. Most often, these fish already have a light purple hue. They retain activity at 8-10 degrees, but upon further lowering of water temperature to 7- 6 and 5 degrees, their activity gradually drops. At 4 degrees chance to catch these fish is small. They occupy the deepest places on the main course of the river, and to provoke their bite is technically difficult. Renewal of the activity of this group can be observed when the water level in the river goes up after the rains. These fish are raised high on the river and evenly spaced on its territory. The third group of salmon - it's completely fresh fish that went into the river from the sea and rises upstream. This is the most interesting group of salmon, which stand out for their physique, silver body and often the presence of sea lice on the body. The weight of these fish can vary from 3 to 6-7 kg, but their speed and power is exceptional. The appearance of this group of fish in the river to be expected, but its unpredictable. Most often they appear in the river since mid-September, and continue to go to the river to severe frosts in late November or even December. Often there is a mass occurrence of fish in the river, sometimes the movement of fish is stretched in time and unbeknownst to the angler. Usually we associate the activation of fish movement with the best combination of water level in the river and its temperature. A certain increase in the water level after the rains, with a gradual decrease in temperature from 8 to 6 degrees causes the activation of the movement of salmon. Further lowering the temperature to 4 or 2 degrees leads to reduced activity of all groups of fish. It is important to understand that the change of state of water has a different effect on the behavior of these groups of salmon in the river, and their reaction to the artificial fly. Periods of activity of these 3 groups of salmon are shifted in time. Sometimes they successfully superimposed on each other, and sometimes they break away and we have empty days and weeks, when there is absolutely no bites. So to plan ahead a successful week of fishing is hard enough. I would like to mention a few factors that affect fishing results for the third group of salmon. I always repeat to our fishermen that every good spot or pool on the river has a salmon. They are staying, they are moving, but they have always been. Any good pool, no matter the season, has 3-4 or 6-7-…. fish. The true number, we can not know, but we can judge it or as a result of fishing or the sign that fish leaves on the surface. Best fishing period can be considered stable, constant for several days, the water temperature of 6 degrees. The lowering from 6 to 5 - 3 degrees results in reduced activity of salmon. Further reduction in temperature to 2 degrees does catch problematic. 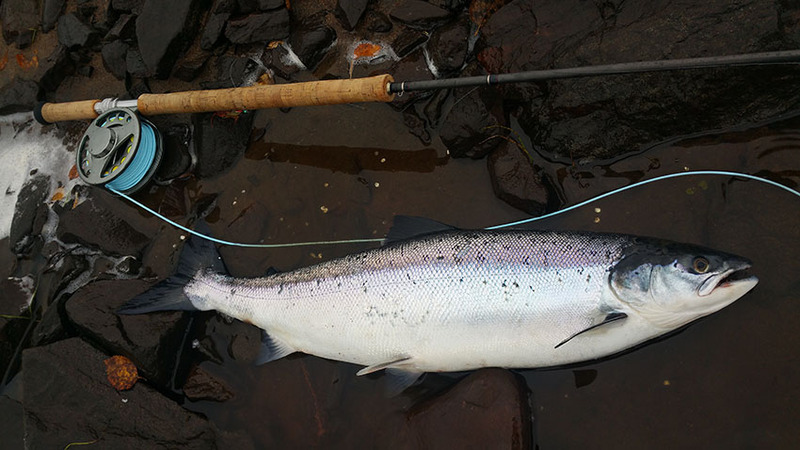 A certain increase in temperature from 4 to 6 degrees again leads to increased salmon activity and increase in the number of bites. The colder the water gets, the salmon less wants to climb up the river, accumulating at the first convenient parking on the lower parts of the river. The water level also has a significant impact on the behavior of fish. A moderate level increase (temperature is stable) leads more frequent bites. The sharp rise of water in the river after heavy rains can improve the bite in the first days. But later may follow a similar dramatic reduction in activity because of change of transparency and often excessive rise in temperature. Normalization of water clarity after the recent rains and the stabilization of the temperature also lead fish activity. 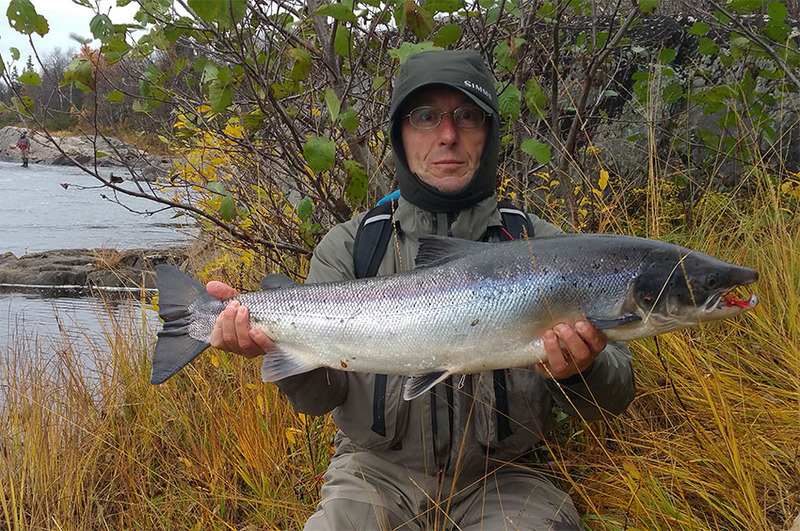 The successful combination of the dynamics of the water level and temperature, it is not often, but still we are trying in this way to explain the movement of salmon in the river and the effectiveness of our fishing. In practice it would be necessary to take into account the sea factors that affect the appearance of the salmon in the river. But we know very little about it.